To ensure creditors can no longer pursue claims against your LLC, you must properly dissolve the company. LLC formation and dissolution is determined by state law where the company is located. Generally, you must file a certificate of dissolution with the secretary of state and file final tax returns with the state and IRS. You should also cancel all licenses, permits and other professional registrations to protect your finances and reputation. When winding down the company, set money aside to pay remaining debts and taxes before making distributions to individual members. 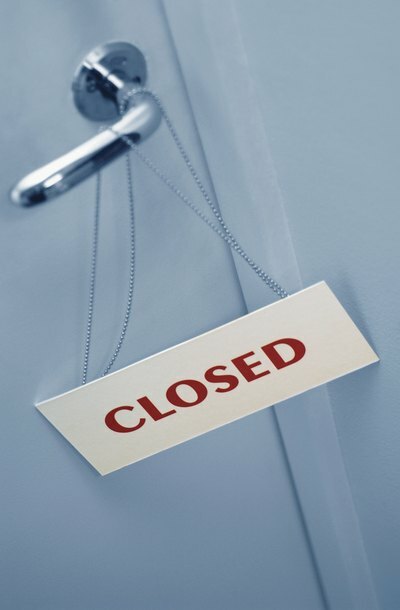 When dissolving an LLC, most states require members to provide notice of the company's closure to all known creditors and potential claimants. Additionally, the LLC may be required to publish notice in a local newspaper with information about the company's closure, deadline for pursuing claims and an address where final claims for uncollected debts may be sent. In many states, claims against a properly dissolved LLC that has provided the correct notice will be barred after a specified time period, meaning the creditor has no option to collect against the LLC. A recent Washington Supreme Court decision held that creditors and claimants may bring lawsuits against a dissolved LLC three years after the company closed, as a result of the state's statute of limitations legislation. Even when the LLC was properly dissolved, and notice was provided, the court found that there is no limitation on initiating a lawsuit against a dissolved LLC, so long as the claimant is within the statute of limitations. Although the decision is limited to the state of Washington, LLC creditors in other states will likely use the same argument to pursue dissolved LLCs. In most cases, the members of an LLC are not personally liable for the debts of a company. However, if all of the assets of the LLC were distributed and the LLC did not properly dissolve or provide notice of dissolution, a creditor might be able to collect the distributed assets from the individual members. Nonetheless, it is unlikely that a member of an LLC will be held liable for the debt of a company beyond the profits he received.